Sintra is a fairytale town in every sense. The hillsides are cluttered with palaces and villas. We went to Portugal to visit very dear friends of ours that we worked with in Indonesia and I was amazed how beautiful and eclectic the country was. It’s really a mix of Moor, Spanish, and European. I can see why so many people choose it for a honeymoon spot. But the town of Sintra was my favorite city. It’s magical in every sense: castles, cliffs, charming village, quaint shops. The hillsides are cluttered with palaces and villas. Narrow streets built over a long period of time. Pena Palace– Built in the 1840s is a random mix of German and Moorish archeticture sprinkled with Spanish influence. Regaleira Estate– known for its beautiful gardens and Gothic architecture. Moorish Castle– Built in the 8th century, it has fantastic views of the valley and fun to climb along its walls and wander the dark turrets. Toy Museum– A collection of more than 20,000 toys including 3000-year old Egyptian toys, Hornby trains from the 1930s, Nazi toy soldiers made in Germany during World War II, birthday and Christmas gifts given to royal children, and some of the first ever toy cars. Outside of Sintra is the famous cliff, Cabo da Roca. This cliff rises up to 460ft. Fantastic shopping! This is a great place to buy hand painted tiles, linen and linen tablecloths, and great soccer gear. 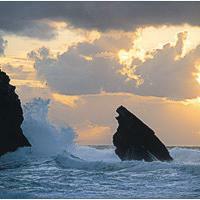 Beaches- Adraga Beach– Its windy and go early because of parking but with the mountains and waves, it’s gorgeous. 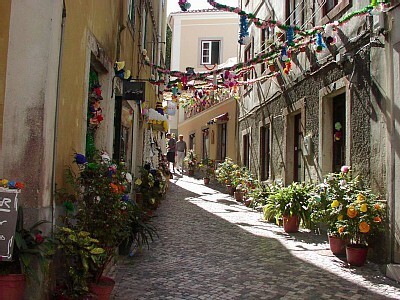 We stayed with friend in Estoril (another old medieval town) so I don’t have recommendations for you on where to stay. New York Times did a great article here on recommendations. Also, I’ve lost all my good pictures of Sintra sometime in the last week! I think I deleted them all by accident. So I don’t have nearly as many pictures as I was hoping for. Sorry! I’m so bummed. Looks lovely! 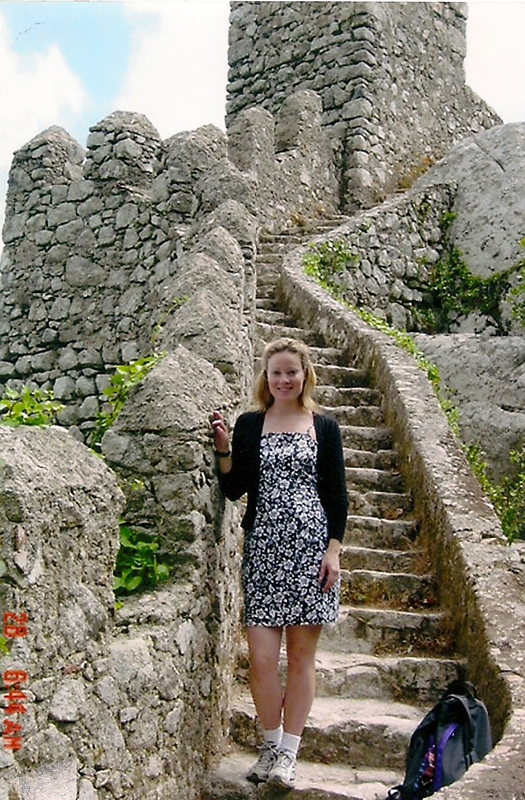 I’ve been to Portugal many years ago but I remember this castle so I don’t think I went to Sintra. Bummer about your pictures, but what you showed are beautiful. I wish you could stuff me in your luggage so I could tag along. Wow, I need to go there! That’s so beautiful! Portugal has been on my list of places to visit for a while, and Sintra will now be top of that list, for sure! Aw, sorry about your pics. That is so sad. Love reading your travel articles. I will add this to my must visit list! 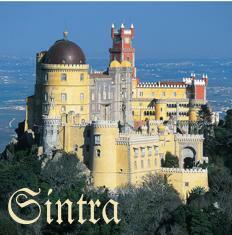 I have never visited Portugal, but would love love to travel to Sintra. It looks beautiful. Andrea and Emy- It is lovely. Stina- really? Where are you living in Portugal? That is so awesome! Bish and Tina- yes, I was soooo upset about the pictures. I had hard copies and scanned copies but now I don’t know where any of them are! The one good thing is that I went searching for them and found my wedding ring that had been missing since Christmas! It was under all my piles of ‘stuff’ for this new book I’m writing. So maybe some good came out of it. Karen- yay! I’m so glad you are loving this series. It’s good for me to remember all the places I’ve been too. I should have started it long ago. I’m sorry about your pictures. What a beautiful place. I’d love to visit Portugal. Sintra does look like a fairytale town.